Wednesday, 10th of October, Rockville, MD – While the many concepts in artificial intelligence date back to the 20th century, the revolution in deep learning started around 2014-2015 when AI systems started outperforming humans in many tasks ranging from video games and image recognition to autonomous driving. The concept of Generative Adversarial Networks (GANs) was only introduced in 2014 and went mainstream in 2016 with the publication of the first "AI-imagined" images generated using GANs from natural language. However, due to the gap in domain expertise between chemists, biologists, and next-generation AI scientists and the lengthy validation cycles, only today we start noticing the propagation of deep learning into these fields. While there is still a gap in domain expertise in biology and chemistry in the machine learning community, it is rapidly closing and many advances are propagating into drug discovery and biomarker development. The special issue on deep learning for drug discovery and biomarker development provides an overview of the recent applications of modern AI. Today, Insilico Medicine, one of the industry leaders bridging deep learning for biology, chemistry and digital medicine, announced the publication of a special issue dedicated to "Deep Learing for Drug Discovery and Biomarker Development" in one of the top industry journals celebrating its 15th anniversary published by the American Chemical Society, Molecular Pharmaceutics. 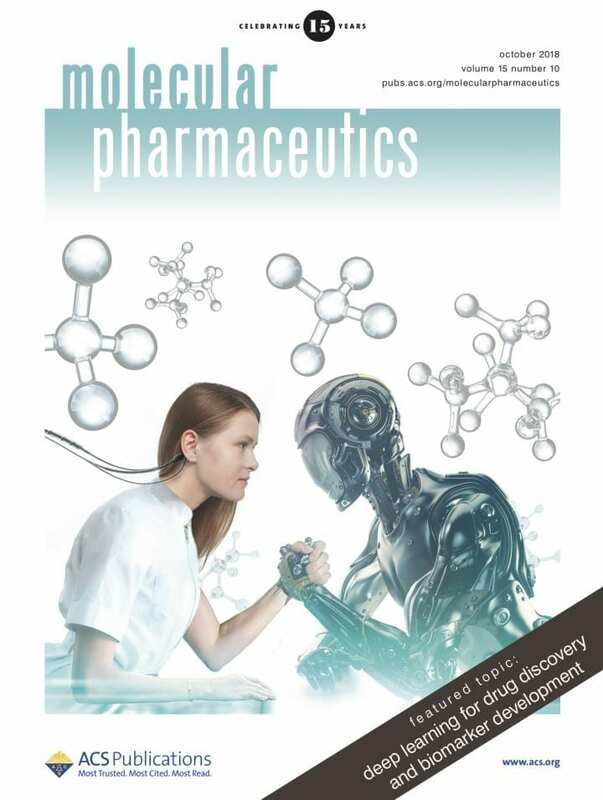 The special issue starts with an article by the founder and CEO of Insilico Medicine, Alex Zhavoronkov, PhD, titled "Artificial Intelligence for Drug Discovery, Biomarker Development, and Generation of Novel Chemistry". "The special issue dedicated to deep learning for drug discovery and biomarker development brings together the contributions made by some of the top academics and industry experts. The collection of papers in the special issue may provide a quick introduction into the field and specifically into generative chemistry. We are very happy to see this special issue ", said Alex Zhavoronkov, PhD, founder, and CEO of Insilico Medicine. The special issue is mostly focused on generative chemistry using GANs and Reinforcement Learning (RL) for de-novo molecular design. Some of the articles, including the "Entangled Conditional Adversarial Autoencoder (ECAAE) for de-novo Drug Discovery" demonstrate for the first time the experimental validation of the molecules generated using these architectures. ECAAE was used to generate a novel inhibitor of Janus Kinase 3 (JAK3), implicated in rheumatoid arthritis, psoriasis, and vitiligo. The discovered molecule was tested in vitro and demonstrated high activity and selectivity. Molecular Pharmaceutics is one of the first journals to recognize the trend in deep learning for biomedicine with the publication of the first review paper on this emerging subject in 2016. Insilico Medicine is regularly publishing research papers in peer-reviewed journals. The company was first who applied deep generative adversarial networks (GANs) to the generation of new molecular structures with specified parameters and published seminal proof of concept papers in the field. The paper published in Molecular Pharmaceutics in 2016 demonstrated the proof of concept of the application of deep neural networks for predicting the therapeutic class of the molecule using the transcriptional response data, received the American Chemical Society Editors' Choice Award. A recent paper published in November 2017 described the application of the next-generation AI and blockchain technologies to return the control over personal data back to the individual. One of the latest papers published in the Journals of Gerontology demonstrated the application of the deep neural networks to assess the biological age of the patients. Insilico Medicine, Inc. is an artificial intelligence company headquartered in Rockville, with R&D and management resources in Belgium, Hong Kong, Ukraine, Russia, UK, Taiwan, and Korea sourced through hackathons and competitions. The company and its scientists are dedicated to extending human productive longevity and transforming every step of the drug discovery and drug development process by developing a comprehensive end-to-end learning system covering the many steps of the pharmaceutical R&D ranging from hypothesis generation, biomarker development, target ID, generative chemistry all the way to digital medicine and real-world insights. Insilico pioneered the applications of the generative adversarial networks (GANs) and reinforcement learning (RL) for generation of novel molecular structures for the diseases with a known target and with no known targets. It also pioneered the application of GAN/GAN-RL systems for generation of synthetic human data with the desired characteristics. In addition to working collaborations with the large pharmaceutical companies, the company is pursuing internal drug discovery programs in cancer, dermatological diseases, fibrosis, Parkinson's Disease, Alzheimer's Disease, ALS, diabetes, sarcopenia, and aging. Through a partnership with LifeExtension.com, the company launched a range of nutraceutical products compounded using the advanced bioinformatics techniques and deep learning approaches. It also provides a range of consumer-facing applications including Young.AI. In 2017, NVIDIA selected Insilico Medicine as one of the Top 5 AI companies in its potential for social impact. In 2018, the company was named one of the global top 100 AI companies by CB Insights. In 2018 it received the Frost & Sullivan 2018 North American Artificial Intelligence for Aging Research and Drug Development Award accompanied with the industry brief. Brief company video: https://www.youtube.com/watch?v=l62jlwgL3v8.